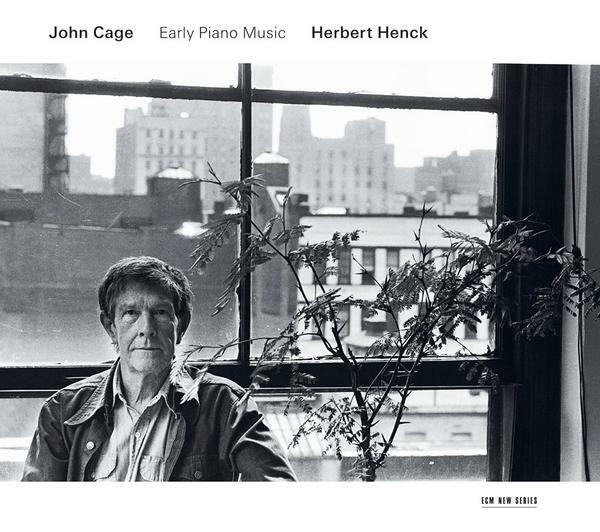 Two years after his benchmark account of the Sonatas and Interludes, German pianist Herbert Henck returns to the music of John Cage for this refreshing program of early works. Henck’s prowess at the keyboard is matched note for note by tenderness, and in these pieces we find both in full order. His ability to render even the most serial works as lusciously as he does more readily accessible works like 1948’s In a landscape is nothing short of astonishing. Of the latter masterpiece he gives an endearing performance that thrums with drawn-out warmth under his touch—an intimate tapestry spread to reveal every tonal stitch blissfully intact. Yet it is in the miniaturization of such works as The Seasons (1947), heard to great orchestral effect on the selfsame ECM disc, that one finds this artful program’s most enchanting moments. As with much of Cage’s instrumental music, it feels and flows like nature, is at one with certain understandings of universal design. And so, when we listen to a track like Winter, it does not feel like falling snow, or even the whipping winds of a blizzard, but speaks to a rather different sense of climatic change. Neither does Summer swelter. Rather, these pieces embody their elemental forces. From the scattered Preludes alone, we get a sense of the piece’s intense variation in styles, speeds, and modes of articulation, by turns rather mysterious and straightforward, uncompromised. This is music without form, but in being formless becomes ordered, unfolding at the speed of remembrance. The five-part Metamorphosis (1938) presents us with some of the more playful moments in these selections, following linear melodies down halls of mirrors. Fleeting like the patter of children’s feet, it breathes over into an innocent finality. After the convoluted yet true-to-form little curiosity that is Ophelia (1946), the handful of piano pieces that concludes the album might come across as pedantic were it not for Henck’s distinctly “vocal” approach. A worthwhile peek into Cage’s world that allows us to see a composer on the brink of finding his way, Early Piano Music is remarkable also for Markus Heiland’s engineering, which captures every nuance of Henck’s playing with a microscopically attuned ear.